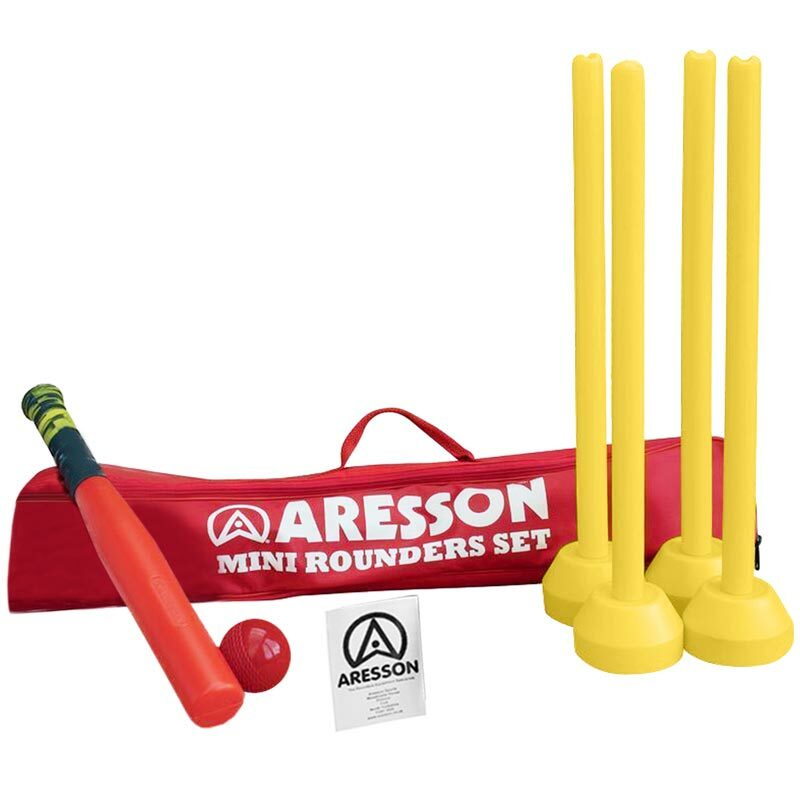 The Aresson ® Mini Rounders Set is an ideal set for introducing 4-11 year olds to the game. Comes with a carry case that contains a light weight bat and ball, 4 plastic stumps and bases along with a set of basic rules. This is ideal to learn the fundamentals and get enjoyment from rounders immediately. 1 x Light weight PVC rounders bat. 1 x PVC rounders ball. 4 x PVC stumps and detachable bases. 1 x Carry bag with zip. 1 x Abbreviated rules of the game.